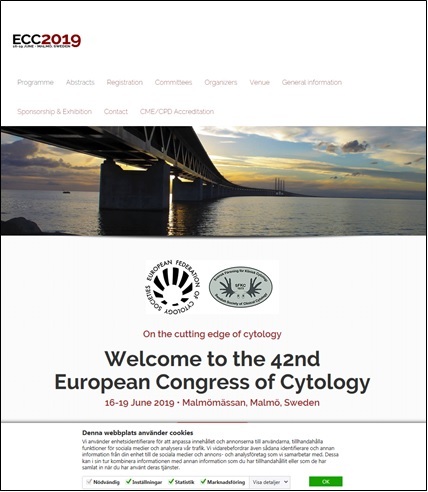 2019 년 스웨덴의 말뫼에서 열리는 European Congress of Cytology에 대해 안내해드립니다. Could you please send this out to the members of your Society and cytology friens to remind them regarding the early bird reduced rates to the ECC in Malmö June 16-19, 2019. The early bird rate finishes 15 March, and people can register on the website. See below. Thank you and we look forward to seeing you in Malmö.